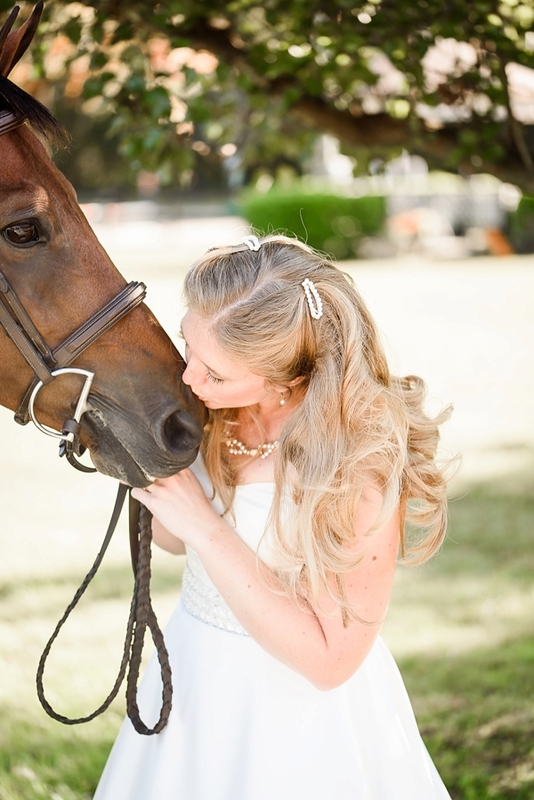 It's no secret that we're obsessed when couples bring in their beloved pets into their wedding-related sessions, and Memo the handsome bay horse is no exception! 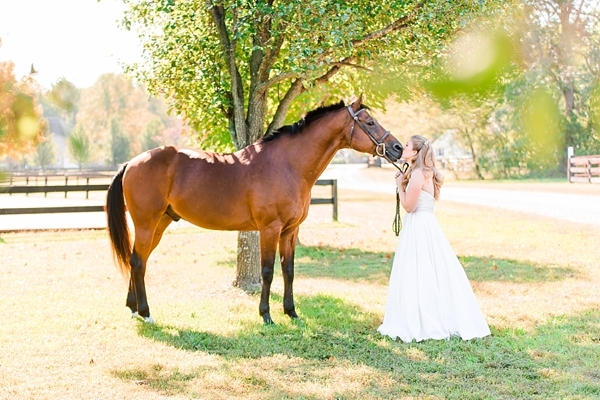 Heather absolutely adores her equine character of a friend and wanted to have a post-wedding bridal session with him at the Amazing Grace Stable in Carrollton. 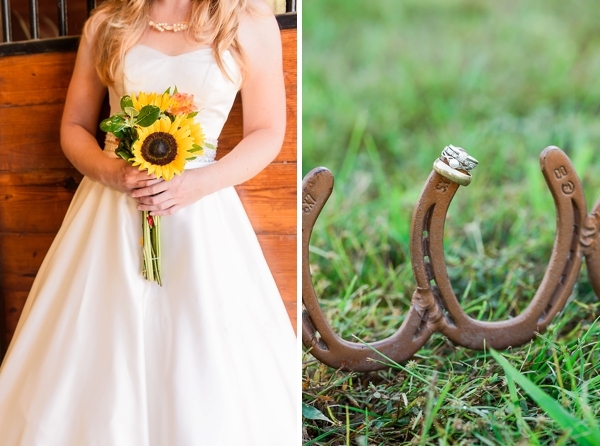 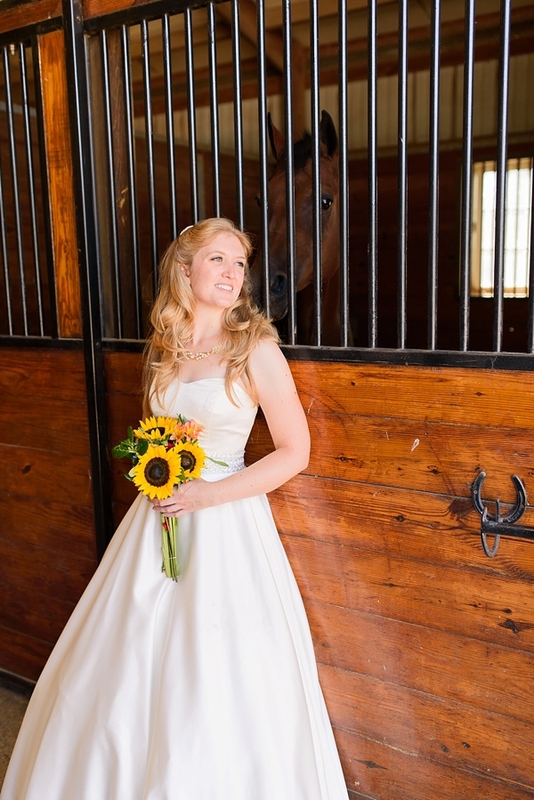 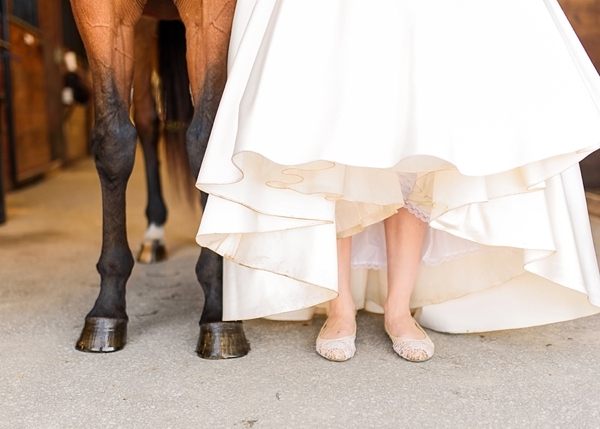 So one bright sunny day with Ryann Winn Photography, they joined Memo for an afternoon of bridal beauty and horsin' around. 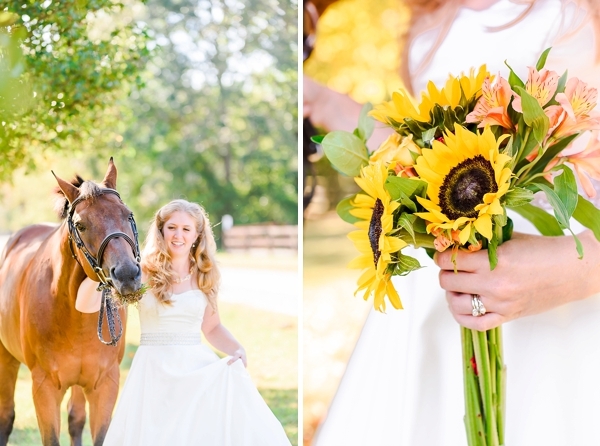 With a strapless sweetheart neckline, pearl barrettes, and handpicked sunflowers, Heather was the picture of a sweet Southern rustic bride. 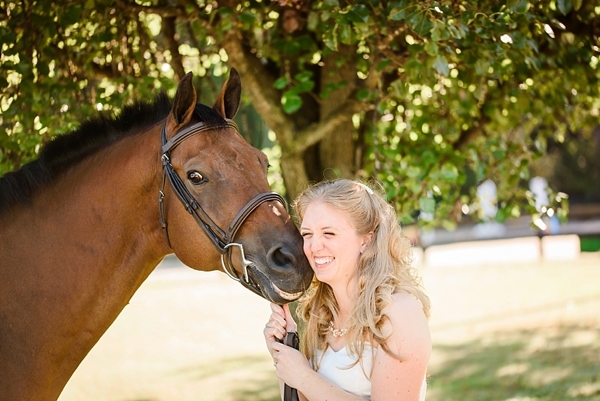 From the giant toothy grin from Memo to the casual walk around the stable grounds, it was a wonderful memory to keep forever: just a girl and her horse.